Author and writer/producer whose fiction has appeared in or is forthcoming in Fiction International, Inkwell, Grey Sparrow Press, Bitter Oleander, The Dos Passos Review, and The MacGuffin, among many others. 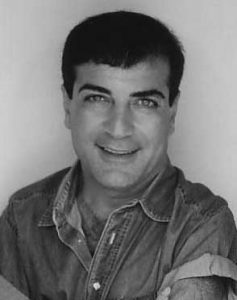 Mr. Darian is also a WGA member whose television credits include Frasier, Mad About You, and 7th Heaven. He was recently nominated for a Pushcart Prize. It’s no great secret that creative writing is like most creative enterprises: the greatest leaps forward are made by those who take chances. I believe an instructor’s task, then, should be to encourage such risk-taking. To that end, I’m a big fan of positive feedback; writers who expose their work to a classroom’s criticism deserve, in addition, to know what they did right, what they did that people liked. Not every writing class I have ever taken has appreciated this point—but I’m happy to say that enough of them did!